South African jazz produced a couple genuine world stars in Hugh Masekela and in Dollar Brand/Abdullah Ibrahim. There were also some revered exile musicians in the form of the former Blue Notes Chris McGregor, Mongezi Feza, Johnny Dyani and Dudu Pukwana who moved to London and pioneered their very own brand of fiery free jazz as The Brotherhood of Breath (and in innumerable small groups) from the ‘60s. 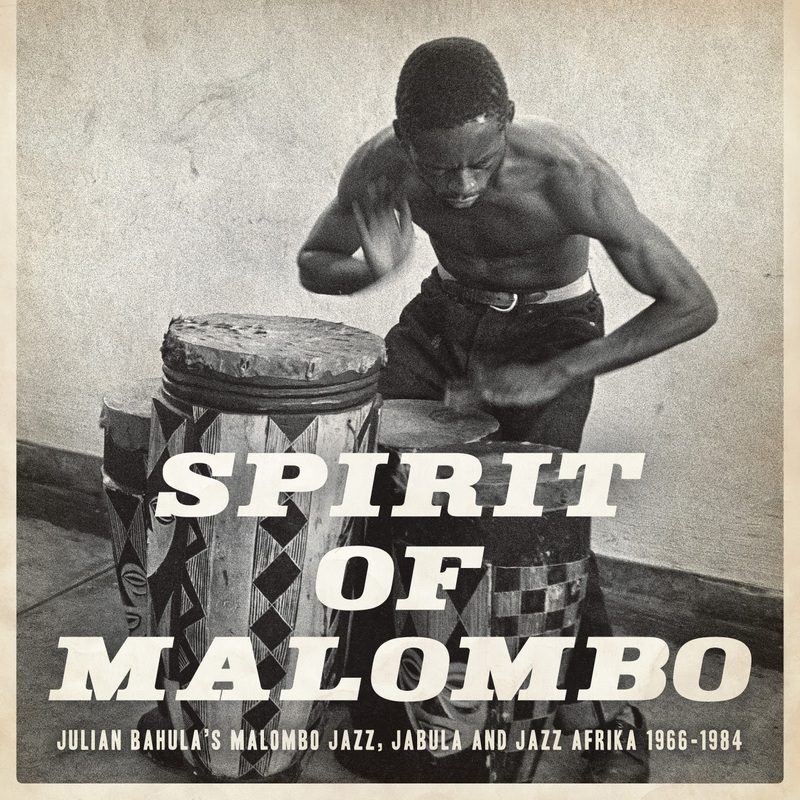 Never a Blue Note, and perhaps less inclined to the avant-garde, was drummer Julian Bahula, who carried on playing an authentic township dance-based groove for many years through a succession of bands Originally a star with the Malombo Jazz Men, that group transformed itself into Jazz Makers which is where this compilation picks up the story. The Malombo Jazz Makers, which included flautist Philip Cindi invoking the traditional penny whistle sounds of the townships, and guitarist Lucky Ranku, were active in anti-apartheid cultural activity within South Africa and had been particularly aligned with the Black consciousness movement led by Steve Biko. As for many other creative and dissident South Africans, conditions became intolerable at home, and Bahula moved to London in the early ‘70s where he proceeded to become virtually synonomous with the anti-apartheid movement. His new group, Jabula, were seldom missing from the fundraisers of the day. Luckily the music took a more melodic turn with Jabula, as two discs of township jazz and its emphasis on swinging rhythm could pall as a ‘listening’ experience. The more fusion-oriented Jabula material breaks up the tempo and mood. That said, it’s hard to find anything to fault here. This is direct, powerful music and a long overdue retrospective for a player who might’ve had a lucrative career as a session player, but chose to dedicate himself to the greater struggle of liberation.